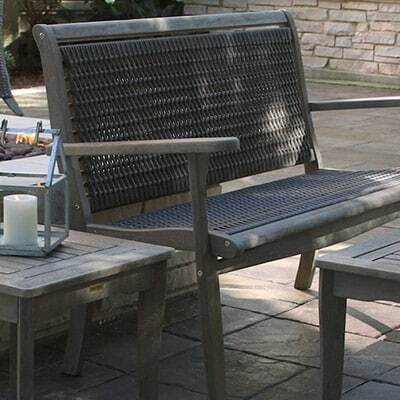 Outdoor Interiors began in 2006 as a solution-oriented company. 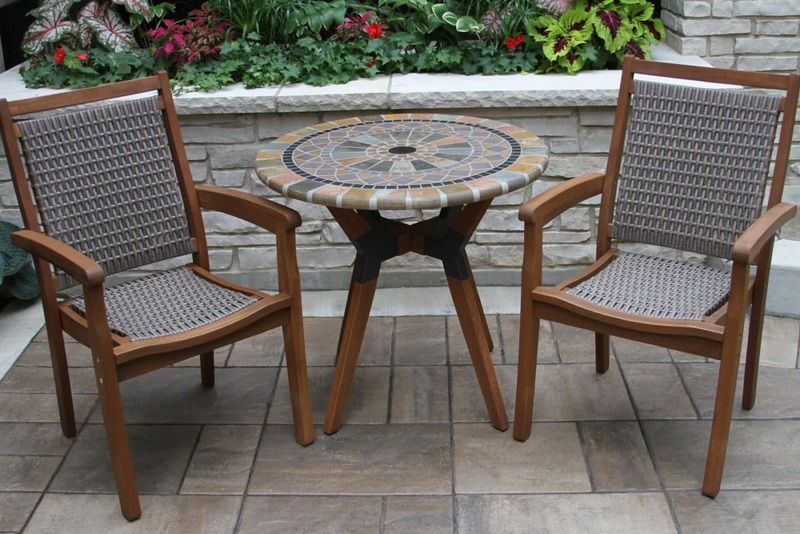 Today, along with many other fully assembled, folding, stacking and other wood storage solution products, we offer 5 “complete” Brazilian Eucalyptus 3pc Bistro Sets in round or square tables that include the table, 2 chairs and seat cushions. 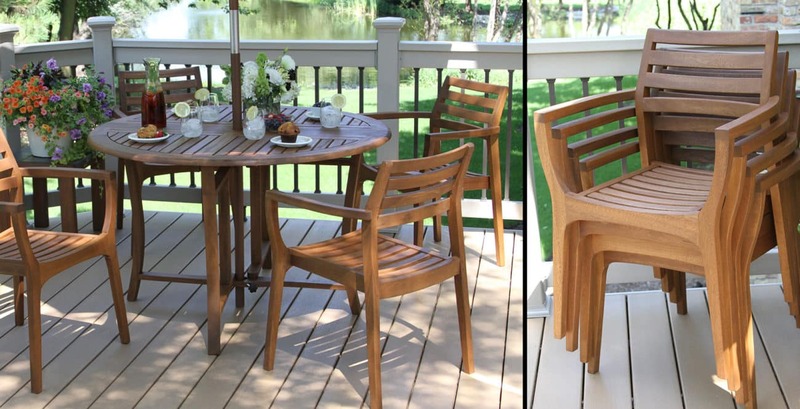 Each of these fully assembled Bistro Set ships in one carton and fold for quick and easy storage. 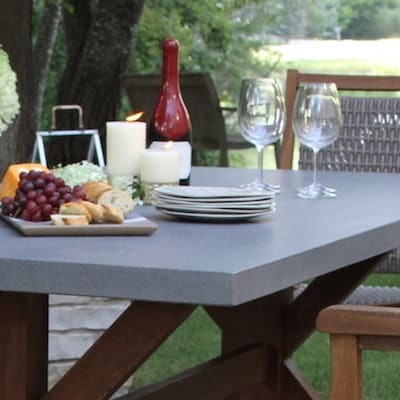 Over the past two years, we have also introduced several new mixed material bistro tables that include stone, decorative accent metals and Brazilian eucalyptus hardwood. 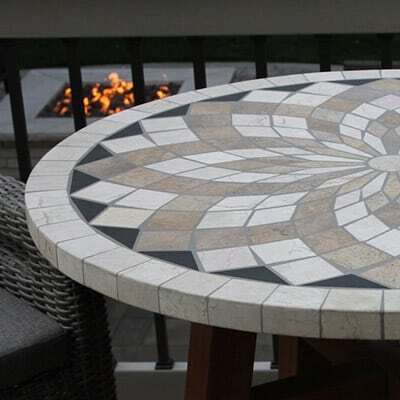 These bistro tables are now available in Spanish Marble, Rustic Slate, Sandstone and Terra Cotta mosaics. 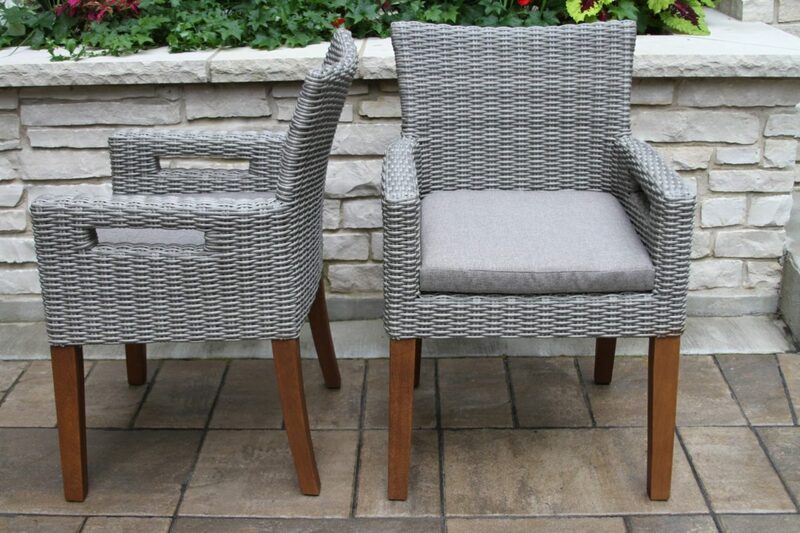 They can be paired with our folding side chairs or various arm chairs in wicker, sling and Brazilian eucalyptus. 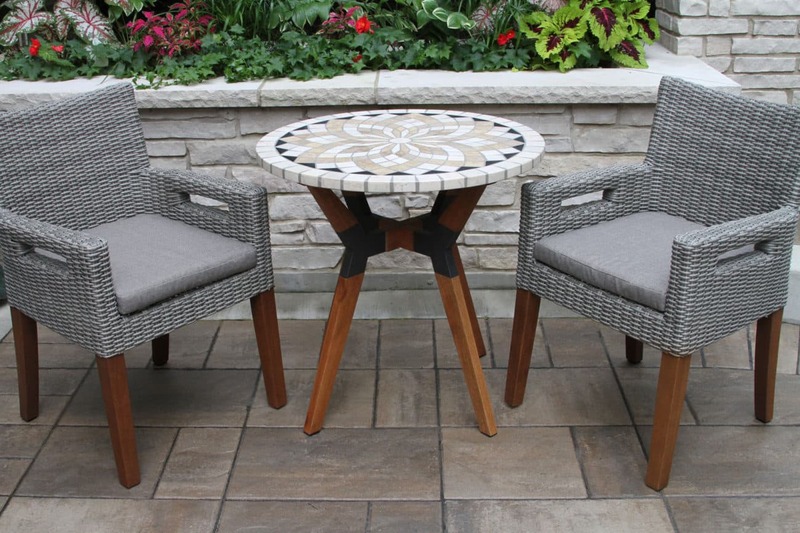 10040 - Eucalyptus Folding Side Chair, 2pk. 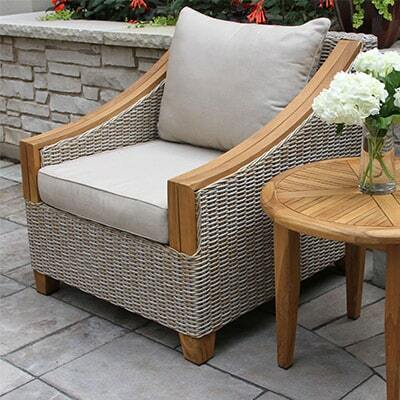 30520 - Wicker & Eucalyptus Arm Chair with Olefin Cushion, 2pk. 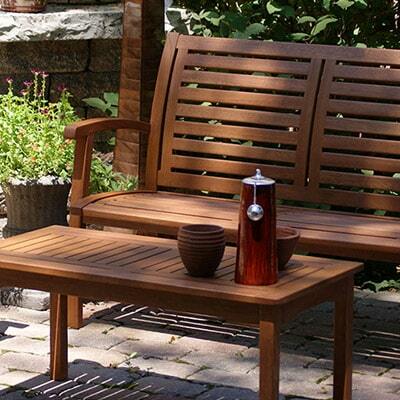 20420 - Danish Eucalyptus Stacking Arm Chair, 4pk. 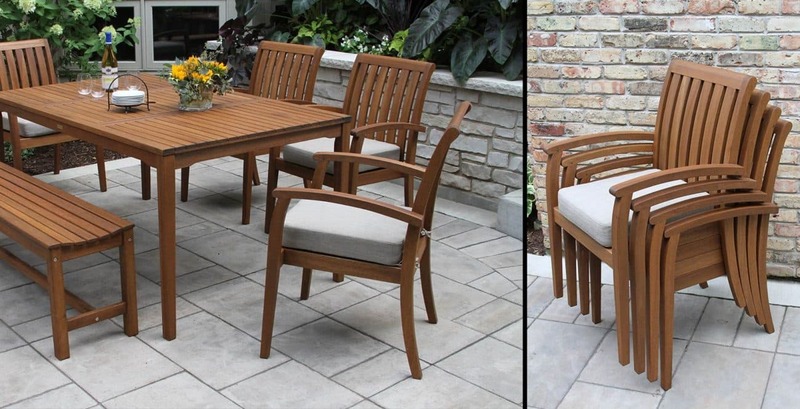 20505 -Eucalyptus Deluxe Stacking Arm Chair with Olefin Cushion, 4pk.